Thursday, May 9, 2019, 12:30 – 1:20 p.m. Educators across the country are rising up against low pay, privatization, and austerity. Former high school teacher Eric Blanc has been on the ground reporting on this historic upsurge for the Nation, Jacobin, and the Guardian. His new book "Red State Revolt" describes the inspiring story of the teachers' strike wave and analyzes why it points the way forward for all working people. 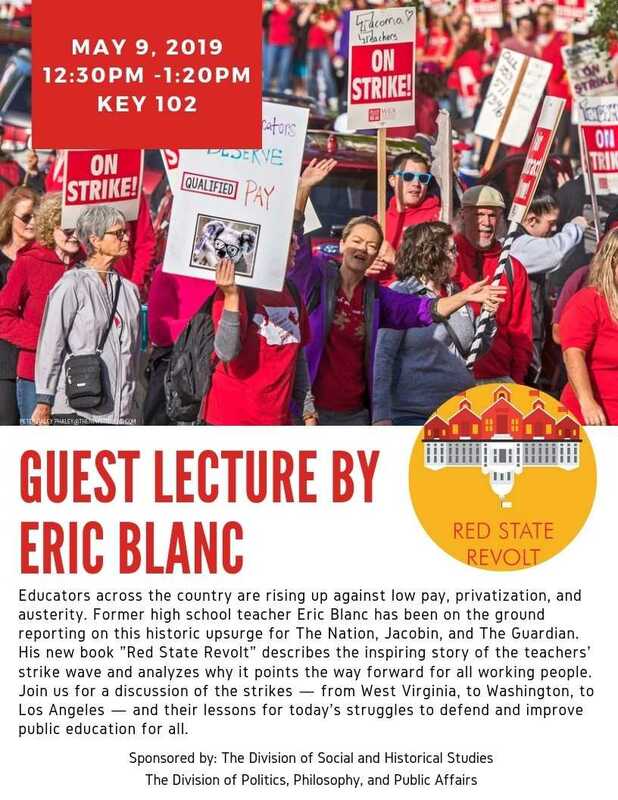 Join us for a discussion of the strikes - from West Virginia, to Washington, to Los Angeles - and their lessons for today's struggles to defend and improve public education for all.